*The awesome Sacramento library system loans Nooks!!! I have one checked out for 3 weeks. It comes pre-loaded with about 50 books on it. These are great books. 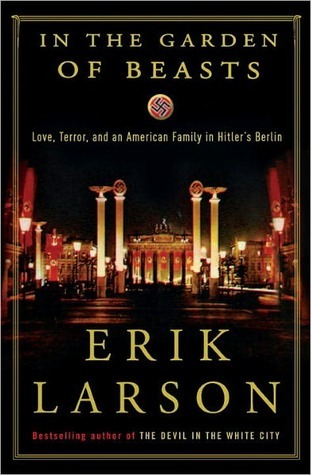 I've seen the Erik Larson book, maybe it's time to check it out myself. WHAT?! Your library rents out Nooks? That's awesome! Love to hear what you think of In the Garden of Beasts... something I've been interested in for awhile. Be sure to enter my Birthday Bash Giveaway! Your library lends Nooks? :O *drops dead* What a great opportunity! I wish we had things like that over here. And great selection, The Greater Journey sounds very good! wow that's insane, they lend nooks! I suppose thats good for people who can't afford them and for others that want to give it a go before committing to buy! I hope that you have fun with it! I love my Kindle! I really enjoyed The Season! I hope that you do too! That is so cool that they lend out Nooks! Seriously! I wish library's in Holland were that cool! I'm so wanting to read the Season, I have loved the author's adult romance series! Hope you enjoy! I've heard about libraries loaning out e-readers. I am glad you were able to check one out. Do you think you'll be buying a Nook in the future? I like being able to download e-books from my library (I have a Kindle so that is a new feature for us but Nook users have been able to do that for awhile). I have been wanting to read In the Garden of Beasts. One of my coworkers read it and really liked it. I did read The Season and thought it was pretty good. She should write more YA but she is probably busy with her romance novels for adults (which I also want to try). Have fun with the Nook and I hope you enjoy the e-books you selected. You've got quite a mix this week! Haven't heard of those, but hope you enjoy them all!! Hope you find some good books on there. Goodness, my library system is lending Kindles but only for 1 week. It's to give the patrons a chance to try out the ereaders. :) I keep seeing The Season at Half-Price Books, so I'm curious about it. I hope you enjoy reading all 3 of your books and have fun with the nook. I hadn't heard about libraries lending out e-readers! That's amazing; what a great way for people to try them out to see if they like it before spending all that money! The Season looks really interesting. I heard a bit about libraries loaning e-readers. I hope enjoy reading on it. Happy reading! I think it's super cool that you let you check out Nooks! The Season was a pretty fun book. I can't believe your library loans nooks! The academic library where I work has nook colors and kindles, but the loan period is only a week. Can you put books on the nook yourself, or do you have to read what is pre-loaded? That's so cool that they loan Nooks! I just read Devil in the White City by Erik Larson and from what I've heard, In the Garden of Beasts is better. I hope you enjoy it! The Season was quite Jane Austen-y, but good. My library lends out Nook books too. They loan Nooks!! How cool is that!!!?? check out what i got in my mailbox! I wish that my library could loan Nooks. You are so very lucky! How exciting!! I've heard great things about In the Garden of Beasts. Looking forward to reading your thoughts. I had to re-read that for a sec.. I thought you meant loaning out ebooks but they lend out actual nooks?! That's amazing! The Season looks awesome. I love historical fiction and want to see if these tough girls turn out to be ladies. The cover sure makes it look like they do. Awesome about your library lending Nooks! Ours discussed it as a possibility, I hope they do. It'd be a great way to introduce people to the new technology, especially those that are sight-impaired! Thanks for stopping by my IMM! Have a great week. :) Enjoy playing with the Nook! 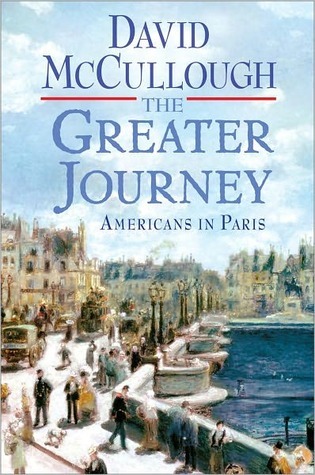 I love the other McCullogh & Larson books I've read. I need to pick these up too. The Season looks really interesting! I definitely want to learn more about it, and I'll be keeping my eyes out for it. That is AWESOME that your library is loaning out nooks. 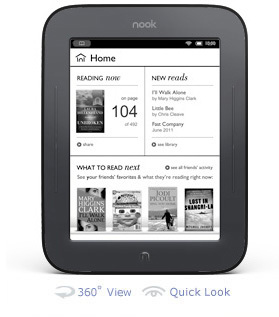 I hope you have fun reading / playing with the nook. Interesting selection. Thanks for reminding me that I have the Season to read as well. Its somewhere in my ever growing TBR pile. Now that i'm getting review copies, its grown more. Just did a vlog. The Season looks really interesting! And WOW. That is awesome of your library. Wow thats sweet loaning nooks :) These books look good enjoy! check out my imm when you get a chance. that's so cook about the nook. i wonder if my library does that. They loan Nooks?! That is too cool! I have one, but still! Fab mailbox, Alison, hope you're well! Loaning nooks, that's risky bussiness. I hope you enjoy. I hope you're settling in well in your new state. That is so frickin cool that your library lends not only ebooks, but actual nooks! Way to support the ebook revolution, Sacramento! The Season looks like a good one!! Wow, that's a cool library! And awesome. I'd be happy if ours just had better English books. ;) Lol. Great IMM for you! Hope you enjoy and thanks for stopping by! Hope you enjoy the books you got! :) That's so cool that they loan out Nooks! How awesome to be able to loan a nook from the library with preloaded books! Sweet! I have a 1st Edition nook that I love, and I can't imagine not having one. I REALLY REALLY want to read Garden of Beasts too, it's been on my "MUST READ" for quite awhile not, esp after I loved The Devil in the White City so much! I hope you enjoy all your books AND your nook! How awesome is it that your library loans out Nooks! The Season looks like a book that I would really enjoy. I am loving reading about Regency era London right now so I think it would be perfect!